Shopping for Wonder Woman Tote Bags? Pack and go with your favorite superhero! 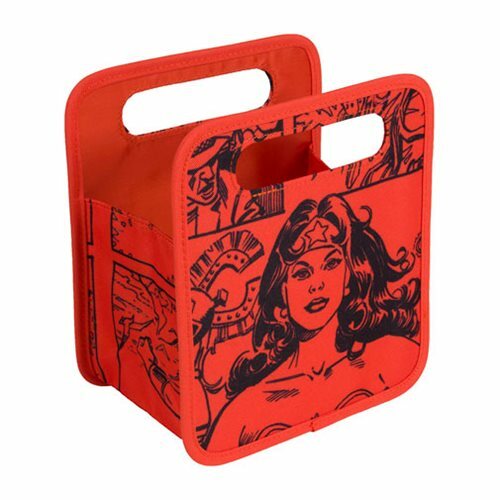 This Wonder Woman Comic Storage Tote Bag features built in handles and collapses flat for quick storage. Made with durable microfiber fabric, this Wonder Woman Comic Storage Tote Bag measures about 8-inches tall x 7 1/2-inches long x 5-inches deep. Ages 15 and up.